Monster Energy NASCAR Cup Series driver Ricky Stenhouse Jr qualified 13th on Friday night at the dirt track. He was in attendance for the debut of midget racing inside The Dome. He then went on to have issues in the heat race, finishing last. The 31-year-old attempted to pilot the Keith Kunz Motorsports machine through the entire field in the B-Main. He succeeded, finishing 4th and grabbed the final transfer position into the main event on Friday. After starting at the tail of the field, he was flying to the front in St. Louis. In the 20 car field, Stenhouse was up to 9th in a matter of no time. But, while attempting to pass two cars at the same time and take 7th, it all went wrong. He barrel rolled in turn three after smacking a rut. On Saturday, Stenhouse started at the tail yet again. This time it was in an LCQ race. He finished 7th, missing a transfer spot into Saturday’s main event. 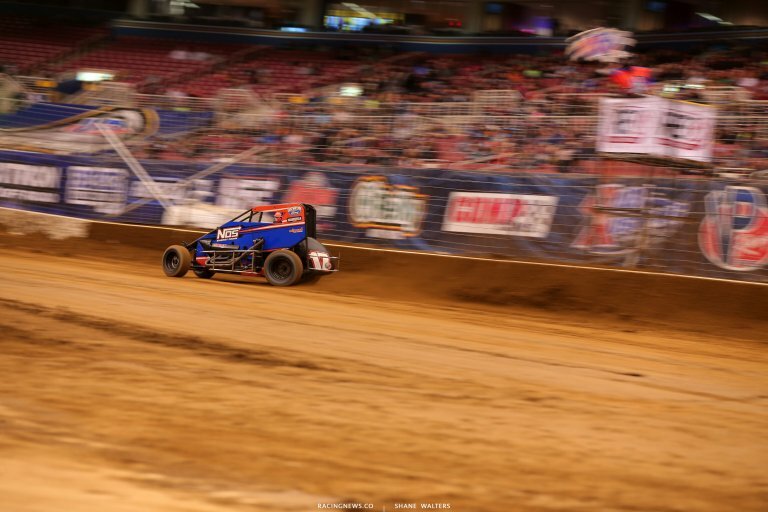 Overall, it was an up and down weekend for Stenhouse in downtown St. Louis, Missouri during the debut for the midgets in The Dome at America’s Center. 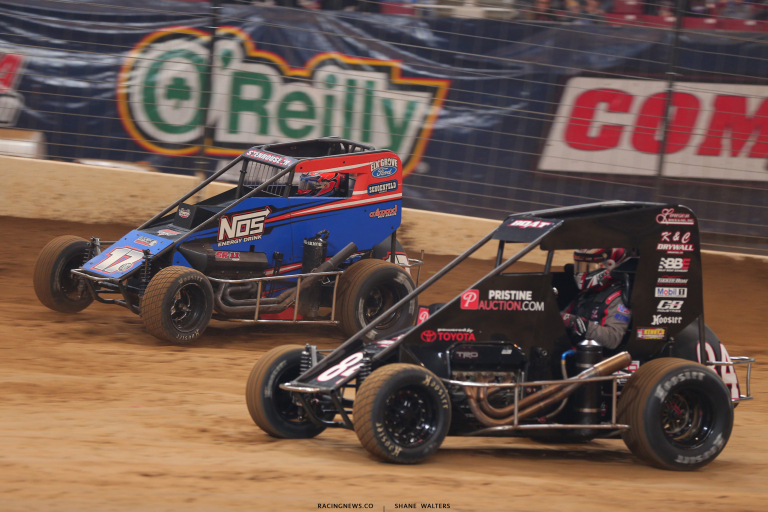 I’d like to hear your thoughts on the comparisons between the Gateway Dirt Nationals and the Chili Bowl Nationals? For the 2017 race, Ricky Stenhouse Jr actually visited The Dome as a race fan. He sat in the grandstands to watch the event. This interview was done on Saturday morning. The night before, Ricky Stenhouse Jr went for a wild ride in his midget. He started at the tail of the feature. But, within a few laps he was up to 9th. Stenhouse was flying around the top and passing cars like they were on the brakes. He was putting on a show for the St. Louis dirt racing crowd. Until he went to the bottom for the first time. Stenhouse clipped a rut. The car launched toward the sky and was sent into and immediate barrel roll at the entry to turn three. I think that was your first time to the bottom. Right? The Gateway Dirt Nationals staff brought out some equipment after that feature. They filled in some of the holes with dirt then packed them in to smooth out the track for the second preliminary midget feature on Friday night. The crash looked violent. Just, because it rolled so quickly. At the same time, it didn’t even look like there was any damage to the car after the crash. I’m pretty sure you tossed the steering wheel before the car was even done flipping? “Yeah, I tend to do that,” Stenhouse concluded with a laugh.